Exclusive formulation includes additives that help prevent deposit formations, ring sticking and engine wear. 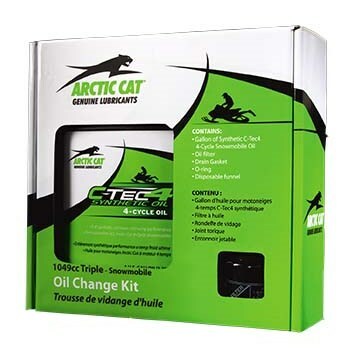 Arctic Cat synthetic C-TEC4? engine oil is purpose-built and proven for Arctic Cat 4-cycle snowmobile engines, and is the ONLY oil recommended by Arctic Cat engineering. The unique synthetic formulation of C-TEC4 allows your engine to deliver optimum performance and provides the ideal viscosity for easy cold weather starting and protection.